No gluten, wheat, dairy, eggs, nuts, peanuts, or soy–and surprisingly yummy. Cupcake toppers: Made in 15 minutes from scraps of paper, scalloped craft scissors, toothpicks, glue, and leftover banana candy. And walk the peaceful way. May the words you speak be loving. May laughter see you through. These gifts we wish for you. 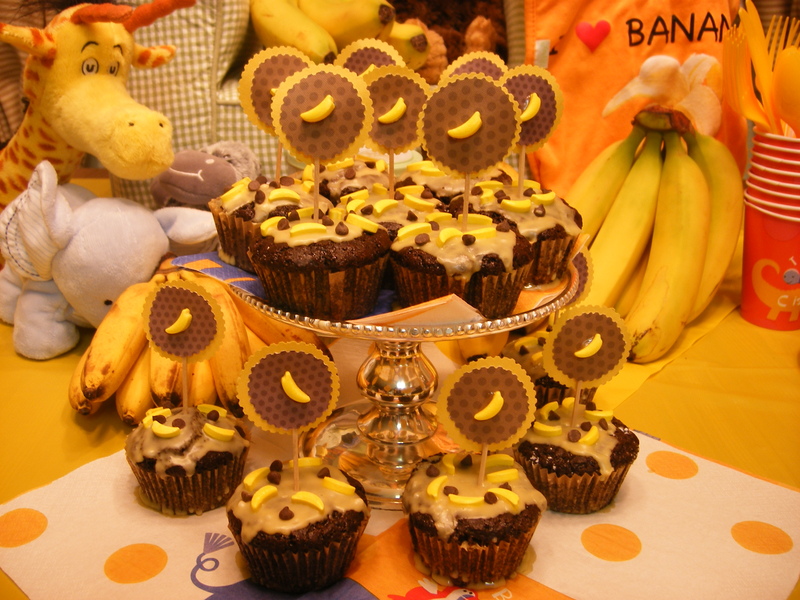 Go bananas with bliss, sweet baby! 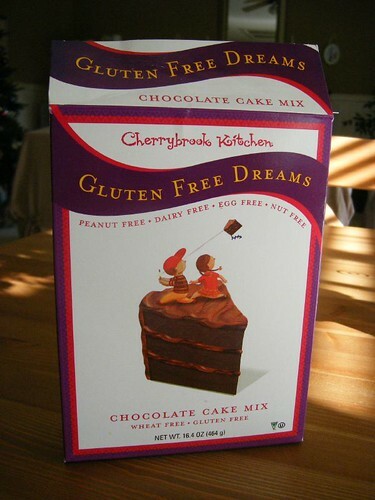 This cake/cupcake mix is from Cherrybrook Kitchen’s “Gluten Free Dreams” line, and we found it at Nugget Market. Besides being gluten-free, it’s “peanut-free, dairy-free, egg-free, and nut-free.” It also contains no brown rice, fruit juice, or soy, which means that I can actually eat it. It’s a miracle mix. But one must take into account that this is coming from people who have no food restrictions, people who can eat any kind of dessert they choose. For me, who hasn’t eaten cake in several years, it was indeed a gluten-free dream. 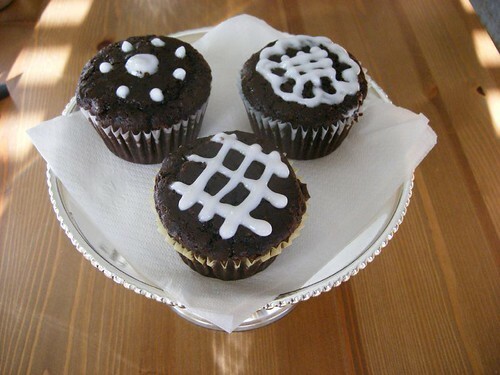 Two cupcakes for breakfast, please!